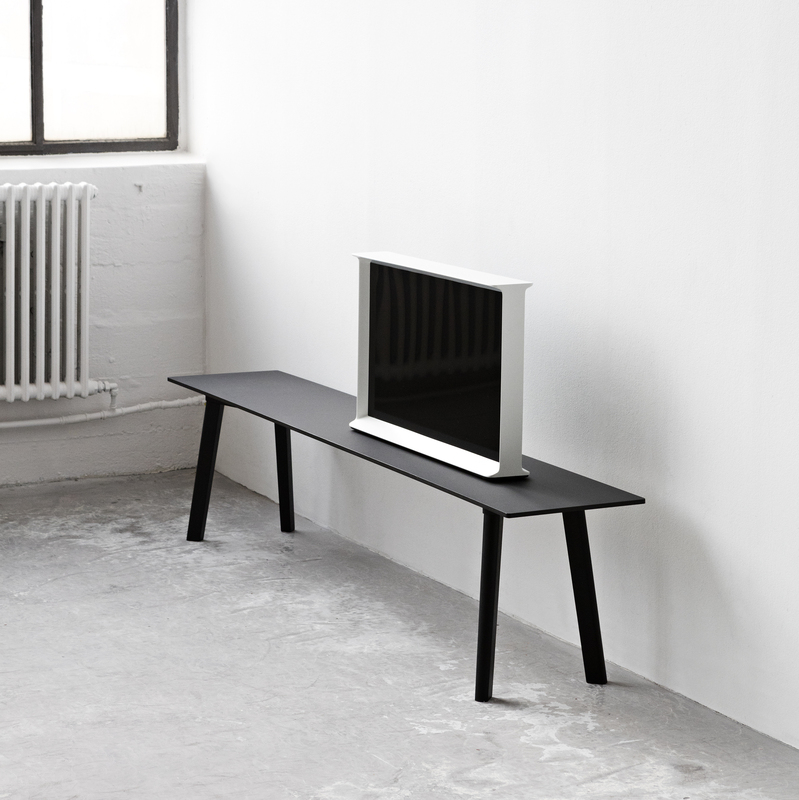 Designed by the Bouroullec brothers to furnish small spaces, the CPH Deux collection includes several tables and benches. All are equipped with plywood surfaces covered with a revolutionary laminate material: based on nanotechnology, extradurable and almost impossible to scratch, it has an extremely matte surface, with a soft touch. Fingers leave no mark on it making this laminate particularly easy to clean. 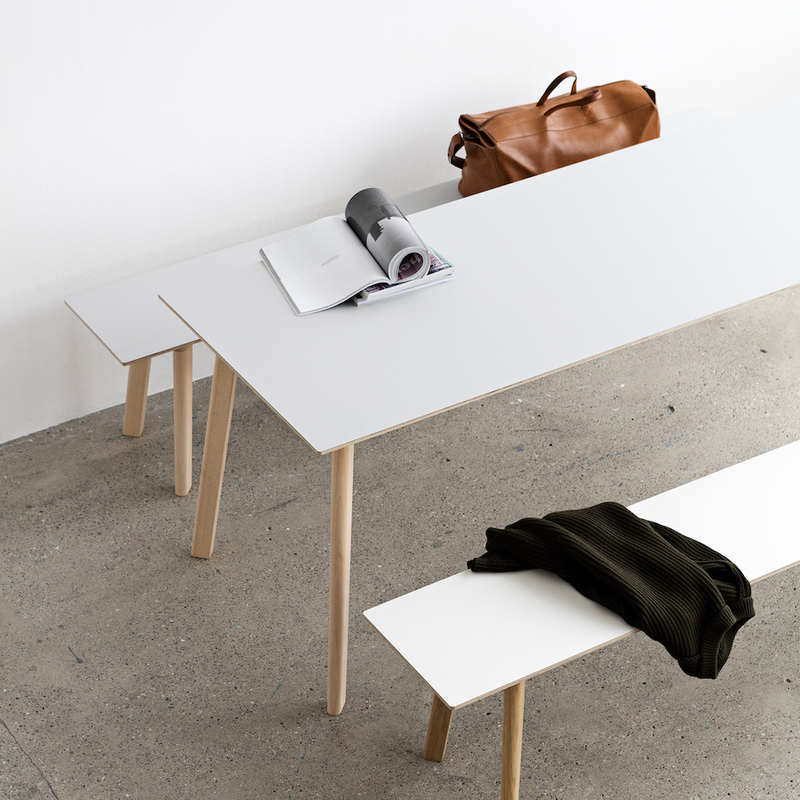 The CPH Deux 215 bench is available in 3 sizes, all characterized by a width of 35cm and a height of 45cm. It can be used as a coffee or side table. Table top 18mm plywood with nano laminate finish, available in 4 colours: pearl white, ink black, dusty grey and stone grey. Bevel edges that match the base finish.